Working and performance dogs, as compared to their pet counterparts, have higher physical exertion demands, increased risk for injury, and greater exposure to hazardous substances. Veterinarians can expand their skills by learning how to effectively address these unique needs. The Working Dog Practitioner Program is designed to provide specialized instruction through online and hands-on learning. Instructors will include specialty certified practicing veterinarians with real life experience and subject matter experts in the working dog field. The Working Dog Practitioner Program will be RACE approved. Dr. Otto is a tenured associate professor at the University of Pennsylvania, School of Veterinary Medicine in Philadelphia, PA. As a board certified specialist in Veterinary Emergency Medicine she served as an attending clinician in the Penn Vet Emergency Service between 1991 and 2014. 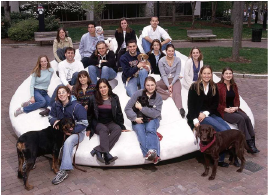 As a result of her deployment with PA-TF1 (a Federal Urban Search and Rescue Team) to hurricane Floyd and 9/11, she initiated an AKC-CHF funded longitudinal study of search dogs that worked at 9/11 and was inspired to create to the Penn Vet Working Dog Center (www.PennVetWDC.org). Her experience with these amazing canine athletes motivated her to become a board certified specialist in Veterinary Sports Medicine and Rehabilitation (DACVMR-canine) and a Certified Canine Rehabilitation Therapist. She currently serves as the executive director of the Penn Vet Working Dog Center where she oversees the fitness and medical care of the detection dogs in the program, provides rehabilitation and conditioning for police and other working dogs and conducts vital research including the effects of naloxone in detection dogs. She has published over 60 peer reviewed articles, numerous book chapters and is an internationally recognized speaker in both emergency medicine and working dog medicine. She was named Pennsylvania’s 2002 “Veterinarian of the Year” and received an Alumni Recognition Award in 2006 and the OSU Distinguished Alumnus Award in 2008 from the Ohio State University. She received the Philadelphia Kennel Club’s Dog’s Best Friend Award in 2016 and the AVMA Bustad Companion Animal Veterinarian of the Year in 2018. Dr. Pierce has been involved with planning, opening and developing programs at the Penn Vet Working Dog Center since 2009 and was appointed as Adjunct Faculty at the University of Pennsylvania School of Veterinary Medicine in 2017. She also holds a full-time faculty position as Associate Professor of Small Animal Internal Medicine and Canine Sports Medicine at Lincoln Memorial University College of Veterinary Medicine in Tennessee. Dr. (Colonel) Pierce also serves in the US Army Veterinary Corps, where her passion for working dogs began with her first assignment in 1992. Since that time, she has been honored to serve working dogs, soldiers and family members around the world in both the active duty and reserve components. Dr. Pierce is board-certified by the American Board of Veterinary Practitioners, the American College of Veterinary Internal Medicine and the American College of Veterinary Sports Medicine and Rehabilitation. She is currently enrolled in the Master’s program in Fitness and Wellness Leadership at SUNY Plattsburgh, and her primary research interests are in canine sports medicine and comparative athletic conditioning and injury prevention. She has received five US Army Meritorious Service Medals, the Order of Military Medical Merit, the 2015 Bustad Companion Animal Veterinarian of the Year Award given by the American Veterinary Medical Association, and the 2018 Zoetis Teacher of the Year award at LMU. Dr. Montealegre received her veterinary degree from the University of Pennsylvania in 2007 and completed a rotating internship in small animal medicine and surgery also at the University of Pennsylvania. After graduating from the University of Pennsylvania School of Veterinary Medicine, she worked as an emergency clinician at Red Bank Veterinary Hospital for 7 years where she began her working dog career as primary clinician for many of the local police dogs in South Jersey. She has been a volunteer veterinarian at the Penn Vet Working Dog Center since 2012, where she assists with veterinary care for the dogs and teaching the visiting students. Dr. Montealegre teaches Pet First Aid and CPR to the K9 handlers at the John Sonny Burke K9 Academy, and at regular community events, dog clubs, and fire departments. In 2015 she was awarded the Hall of Fame Animal Welfare Award by the New Jersey Veterinary Medical Association. Currently Dr. Montealegre works full time at the University of Pennsylvania’s Veterinary Hospital in the emergency service. She has special interests in working dog medicine, but also has interests in canine reproduction and sports medicine.